German police commandos arrested Wednesday a Russian suspected Islamist militant accused of having plotted an explosives attack in the country. Identified only as 31-year-old Magomed-Ali C., he was allegedly an accomplice of Clement Baur, who was arrested in Marseilles shortly before the 2017 French elections accused of plotting an imminent attack. The Russian man "is suspected of having plotted, together with Clement B., detained in France, a serious act of violence against the state," German federal prosecutors said in a statement. Commandos of the elite police unit GSG 9 stormed the man's Berlin apartment in an operation which prosecutors said was linked to the Baur case. "No explosives were found during today's search operations," federal prosecutors' spokeswoman Frauke Koehler said. Baur and another suspect, who had both pledged allegiance to the Islamic State group, were arrested in April 2017 in a Marseilles apartment. French police found an IS flag, a loaded Uzi sub-machine gun, two pistols, a homemade grenade and TATP, a volatile explosive dubbed "mother of Satan". The German prosecutors said that Magomed-Ali C. and Baur planned an explosives attack "at an unknown location in Germany, meant to maim or kill the greatest possible number of people". For this purpose, Magomed-Ali C. had kept in his Berlin flat "a substantial amount" of TATP since at least October 2016. 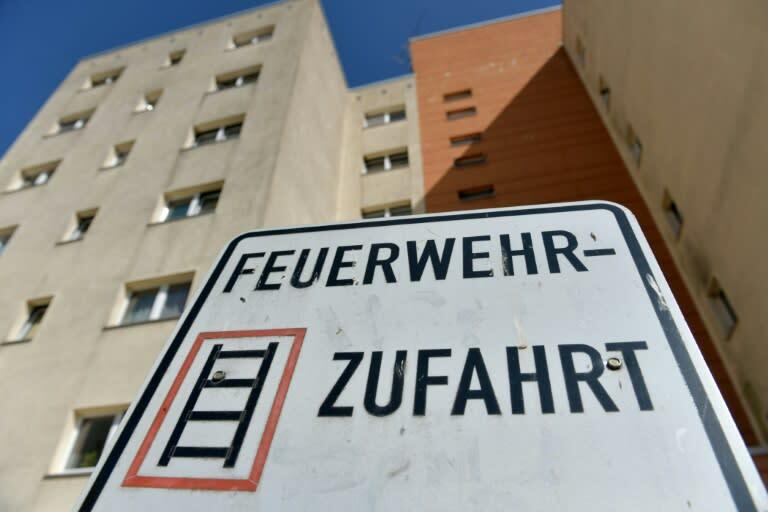 However their plan was foiled by an unspecified German "preventive police operation", which led the accomplices to split up and Baur to travel to France, said the prosecutors. Prosecutors added Wednesday that a phone number used by Baur had been found saved in a mobile phone belonging to Anis Amri, the perpetrator of a December 2016 truck rampage at a Berlin Christmas market that left 12 people dead. "We now know that Anis Amri was in contact with Clement B.," prosecutors' spokeswoman Koehler said. What's more, Amri and Magomed-Ali C. both regularly visited a Berlin mosque known as Fussilet 33 that authorities later closed down over fears it was a meeting place for Islamists. However, Koehler added there was "no indication" either that Magomed-Ali C. and Baur were involved in planning the truck attack, or that Amri helped them with their explosives scheme. Since the Christmas market rampage -- Germany's bloodiest in recent years -- the country has been targeted repeatedly by attacks with radical Islamist motives. And at the end of October, German police arrested a 19-year-old Syrian identified only as Yamen A. suspected of planning a "serious bomb attack" using powerful explosives. In June 2018, German police said they foiled what could have been a first biological attack with the arrest of a Tunisian suspected jihadist in possession of the deadly poison ricin and bomb-making material.